This home was on the smaller side until Resi upgraded it with a spacious rear extension. This created room for a playroom and storage - to organise the seemingly endless clutter that collects from life with kids. 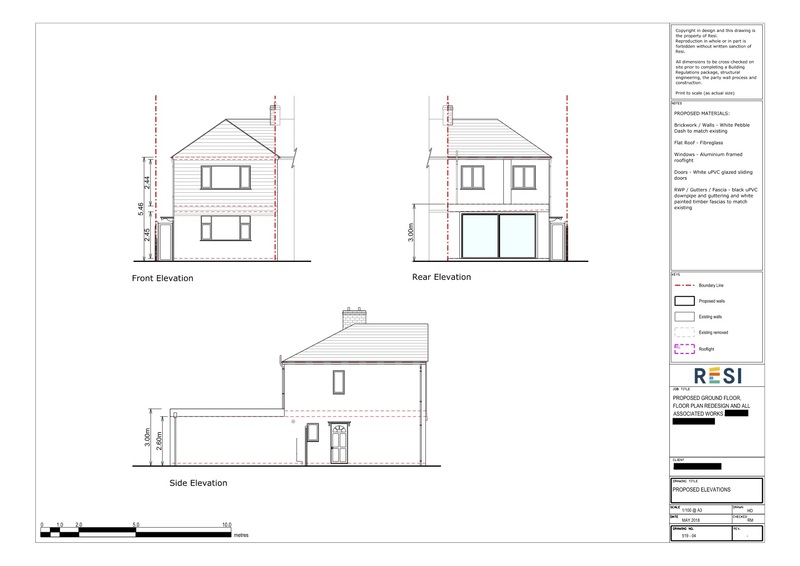 This project was carried out under a Lawful Development Certificate (meaning the homeowner was operating under their permitted development rights), which was granted on 1st August 2018. 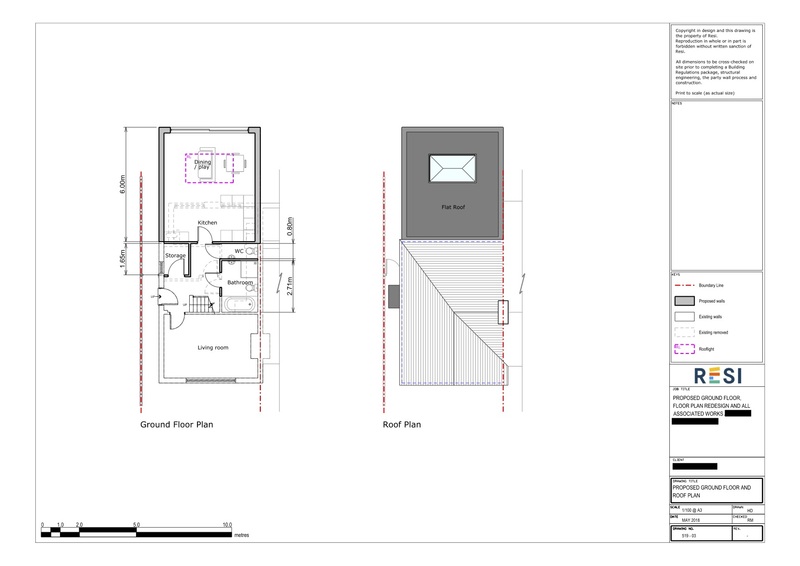 Our client was looking to use the new space provided by the rear extension in order to accommodate a kitchen and diner, with a bathroom brought downstairs (so that upstairs could hold 3 bedrooms). They were also looking for some storage to store prams, shoes, coats etc. They specified that they were looking for consistency, and so wanted white plaster ceiling and walls and stone floor to match the style of the existing kitchen and bathroom. I extended the property out towards the rear, which allowed for an open plan kitchen, dining, and play area for the kids. A storage room was placed near the stairs, opposite a WC and bathroom that replaced the first floor bathroom. To ensure the maximum amount of light filled the home, I added an aluminium framed skylight above the playroom and white uPVC glazed sliding doors were looking out towards the garden.